Rep. Adam Wool, Fairbanks District 5 took to the floor of the Alaska House of Representatives on Friday to reflect on the need for solutions in the wake of the tragic school shooting on Wednesday in Florida. Rep. 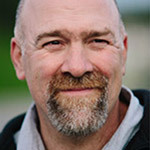 Wool, as a father and lawmaker, is calling for renewed conversations focused on real solutions to protect children from violence. The Al Adams Committee Room memorializes the dedication and service of Albert “Al” P. Sikiagruk Adams, who served as a member of the House of Representatives and as the last sole Chair of the House Finance Committee during the Twelfth through Fifteenth Alaska State Legislatures. 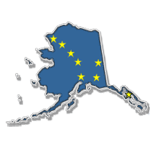 The Alaska House Majority Coalition is taking the lead on common sense protection of baseline education funding. 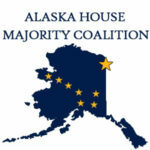 The Alaska House Majority Coalition is taking the lead on common sense protection of baseline education funding. This video is a call for Alaskans to help our Coalition pass legislation that will promote stability and end the yearly uncertainty facing school districts, parents, teachers and students. Learn about Alaska’s permanent fund, one of the largest sovereign wealth funds in the world. How is it managed? What are our options? How is it protected? Video of the Alaska House Majority Coalition’s May 18th, 2017 press availability with Reps. Seaton, Tuck, Edgmon and LeDoux. Video of the Alaska House Majority Coalition’s May 2nd, 2017 press availability with Reps. Guttenberg, Foster, Seaton and Gara.